Akris’ Spring '19 collection is inspired by artist Geta Bratescu's avant-garde collages. Worn on the runway with tonal shorts, this top is made from white plissé-chiffon that’s seamed along the front and back to create a tactile quilted effect. 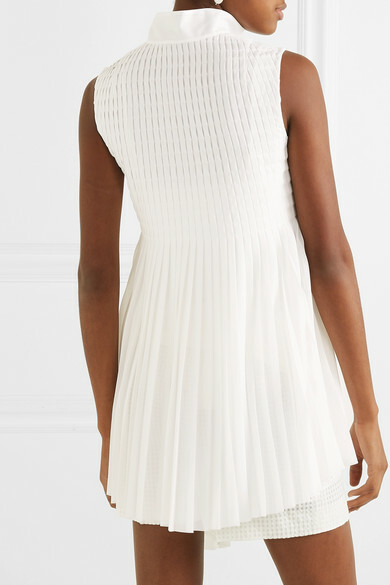 The pleated asymmetric hem falls loosely over the hips and moves beautifully with each step. Shown here with: Akris Blazer, Sophie Buhai Earrings.